It’s essential for all farming families to take into account all aspects included in farm transfers, now more than ever because of the move towards higher ‘wealth taxes’, according to IFAC Accountants Head of Tax Declan McEvoy. Speaking at the recent Teagasc sheep conference, he said to make succession easier for all involved and to maximise tax reliefs, property owners need to seek professional advice from a trained tax advisor to benefit from an efficient transfer. He also said that the property owners need to be increasingly aware of these tax breaks as more caps on reliefs are implemented. “The difficulty that’s happening is there’s a move away from taxes on income and a bigger focus beginning to happen on wealth taxes, and unfortunately land is deemed to be wealth and some attacks begging to happen on by caps coming on reliefs,” he told the conference at Tullamore Court Hotel. However, he said tax efficiency should not be first thing to consider when drawing up a will, it should be ‘oneself and their security’. He says farm owners need to consider the following when looking to take out the complexities of farm transfers. He advises to look at the transfer from a practical point of view and then from a tax point of view. It may take some ‘tweeking’ from a tax point of view but don’t let tax efficiency drive the overall transfer, he says. · Is there an income tax effect from cessation? · Successor – have they off farm income and will this affect his/her income tax liability? He says this is an area that most have not looked at and particularly if the successor has an off farm income, they could end up paying at the high rate of tax whereas the parents pay the low rate of tax. · Transfer via a Will – where it is transferred by Will. In this case there is control over the assets and where they fall. It can facilitate proper tax planning, he says. · Where there is no Will – This is also referred to as Intestate Estate. In this case, the law lays out where the assets fall. While tax planning can take place, it is extremely complex, according to Declan. Farmers should consider maximise the reliefs, minimising the tax and minimise the cost to the farm, thus leaving the maximum amount of funds in the farm, protecting ones’ own security and looking after other family members. In looking after other family members one example is a site, he says. For example, it is often said that the farm is left to a son or a daughter and then give a site to one of the siblings. A site from a parent to a child attracts no capital gains tax where a site from a sibling to another can attract Capital Gains Tax. All gifts and inheritances are aggregated since December 5, 1991. · There are various reliefs’ available i.e. Agricultural Relief, Business Relief, Favourite Nephew/Niece reliefs. · Everything since December 5, 1991 within the same class i.e. Parent to child etc. is aggregated. He says one can give a conditional gift of cash to a transferee and have a condition that they invest in property and avail of Agricultural Relief. In addition, land leasing has become extremely popular, he says. This tax there are two tests, the first test is the farmer test, which is 80pc of your assets on the date of acquisition must be agricultural property, he says. It now must also include the Active Farmer Test, he says. To be an active farmer you must have; An Agricultural qualification, or spend 50pc of your time farming, or lease to an Active Farmer, or lease to someone who is carrying out the business of solar panels, he says. He says this option are for those who cannot obtain Agricultural relief. He says in order to get this the business of farming must be carried on. For a lifetime transfer, the business of farming must be carried on for five years and upon death must be carried on for another two years, he says. You must continue the business for 6 years and the main benefit of Agricultural relief and business relief is that the values of the assets are reduced by 90pc, according to Declan, adding the business must be transferred, not just the asset. To avail of this, one can be treated the same as a son/daughter or a child. To avail of this, you must help in the business for at least five years prior to the transfer, for at least fifteen hours per week. The benefit of this is you are treated the same as a son/daughter and are entitled to the class A threshold, he says. You are only entitled to Class A threshold on business assets, i.e. Land, machinery, stock, buildings etc. You are not entitled to it on cash assets, according to Declan. Even though the asset is transferring one is making a disposal of an asset, in a lot of cases no money is transferring, one is liable to Capital Gains Tax, according to Declan. This is a tax on the uplift in value of the assets. However, various reliefs exist and with proper use of these reliefs, no liability can arise, he says. There are two types of reliefs; within the family and outside the family, he says. 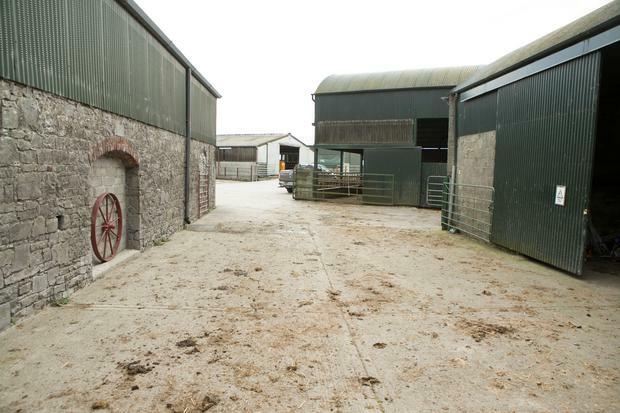 Stamp Duty for Young Trained Farmer(s) is zero provided certain conditions are met, he says. There is also a new consolidation relief for a limited number of years whereby if you sell land and buy land near you, you can avail of the relief, according to Declan. · If one does not get the Young Trained Farmer on a second transfer, one will be liable to Stamp Duty on it. There are a lot of clarifications required on this stamp duty and at the time of writing a lot of considerations are being questioned and answers are awaited. · It could inhibit the purchase of land by a Young Trained Farmer where he has already got stamp duty relief.